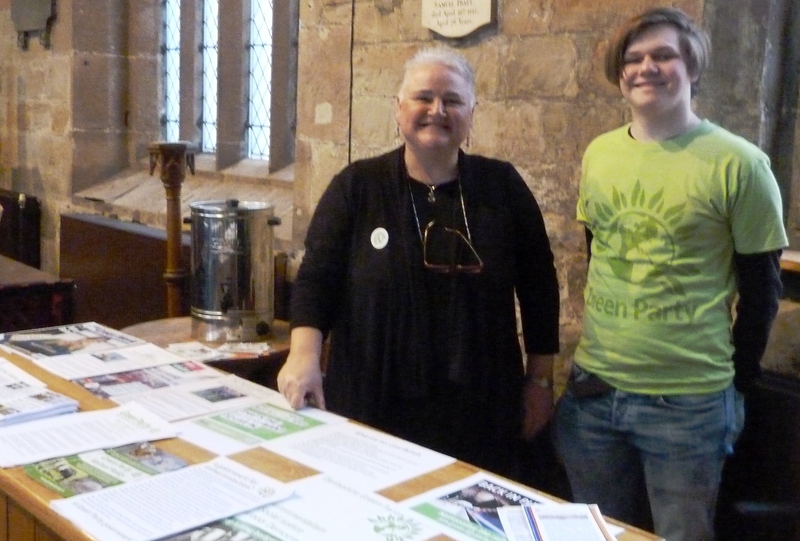 Green Party members set up a stall at this popular Ethical Living event held in the centre of Derby on Saturday 6 December. 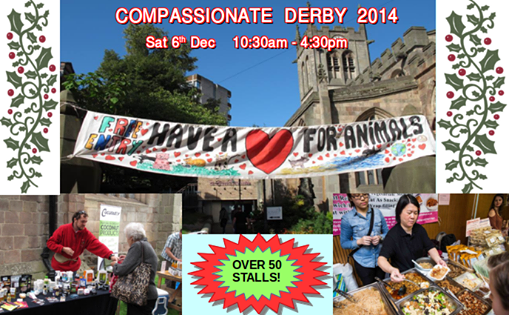 Compassionate Derby is in its fourth year and attracts a wide range of stalls where you can buy a range of lifestyle products, vegan cookbooks, Christmas decorations and support a huge variety of charity and campaign stalls run by people concerned with animal welfare and the environment. There was also no shortage of delicious cruelty-free lunch options. As might have been expected at such an event, we had lots of interesting conversations with people with whom we have interests in common. 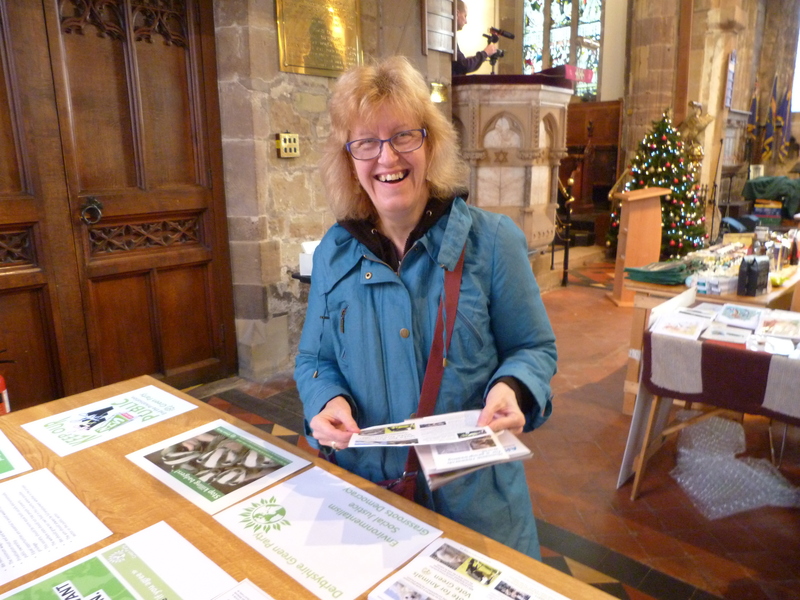 There were many people from Derbyshire and surrounding counties who were already supporters or members of the Green Party. Some had voted Green but many more would vote Green if there was a candidate standing in their ward or constituency. I spoke to two young people, one a member and one considering becoming a member, who will be too young to vote in the 2015 elections. They think the voting age should be lowered to sixteen. 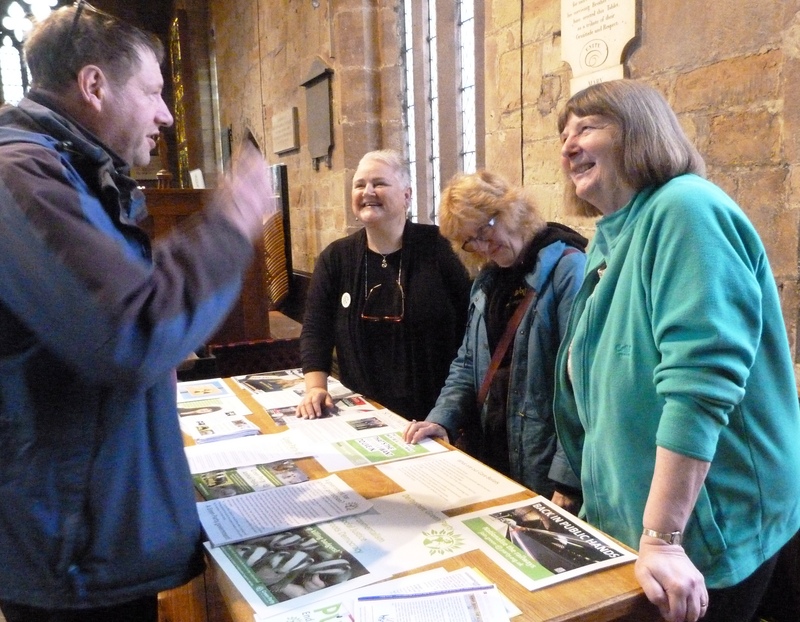 Sue MacFarlane (Mid Derbyshire Green Party candidate for Amber Valley Borough Council, Belper North Ward) and fellow Green Party member, Jackie Blackett, were taking part in a musical contribution in the upper hall but called in to chat at the stall. I was surprised to discover that one or two people who were very concerned about animal welfare and the environment, had not heard of the Green Party. This made me think how important it is to attend community events, given that the Green Party cannot rely on the main media to give us publicity. My husband and I were on the stall during the morning and then I was joined by Chris Smith, who is assisting John Youatt in convening the Derbyshire Dales regional group for the afternoon. 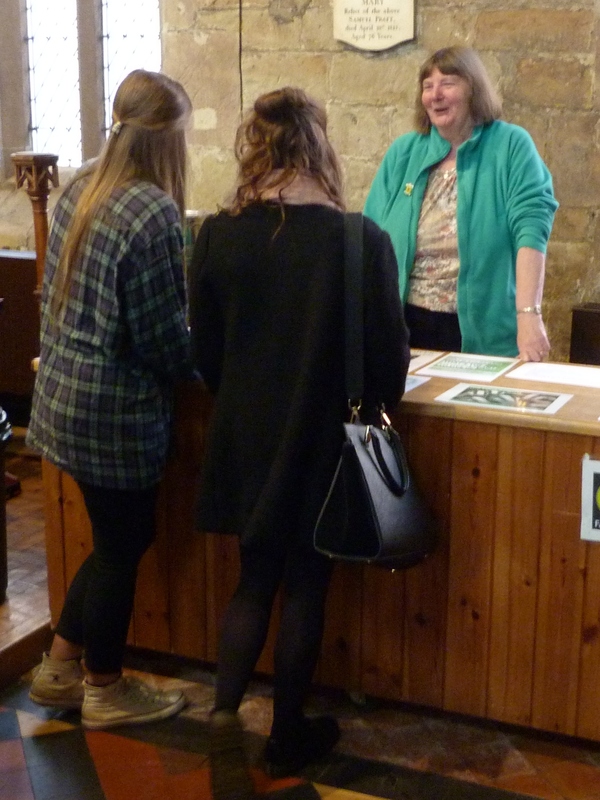 Many people wanted to know whether the Green Party would be standing candidates in Derby. We explained that we were standing candidates in Derbyshire but at present we had no candidates in Derby itself. I did ask some of them whether they would be willing to stand as a candidate in the local elections. One person said she was considering it and I encouraged her to get in touch. Someone also brought up the old chestnut of our name “Green Party” which they said should change. When asked what he would call us, he suggested the Sustainable Party. There was also a question of how the Green Party would operate when it had more MPs. Would they be able to express their views on a particular matter if they did not hold the “official” view? Would there be a party whip? I said that there would be a steep learning experience to go through as the Green Party moved from being mainly activists on the outside of Parliament to being active on the inside. 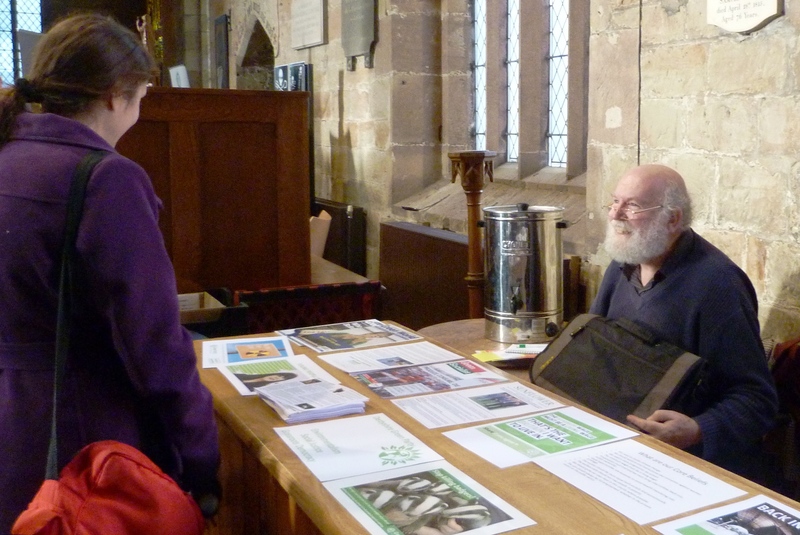 It was a very well attended event and a really encouraging place to have a Green Party stall.